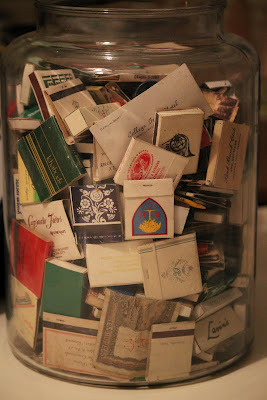 Urban Archeologist: Guess the Matchbooks in this Jar! Win a Rupee or 2! Guess the Matchbooks in this Jar! 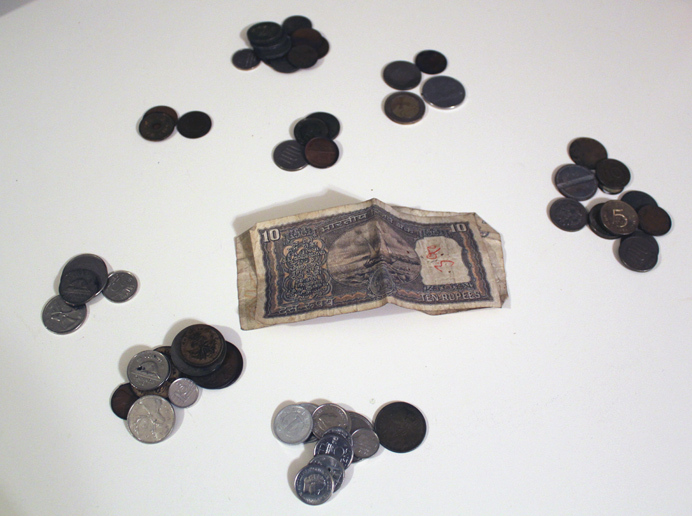 Win a Rupee or 2! With no sales in the area -can't imagine why, it's practically Spring, according to the temperature and the daffodils poking out of the ground- I accepted the offer of a couple of good experienced diggers to take in an auction. Don't ask me the location, because I'm sworn to secrecy, but all I can tell you is you wouldn't believe me anyway. The geek in me wants to tell you it was like Obi-Wan describing Moss Eisley to Luke, " ...a den of scum and villainy..." Well, that's the imaginative side of me. Actually, they were diggers just like us and in search of treasure, just like us. This is just a different format for exchanging goods for cash. There seemed to be a small selection of coins. After much hard glancing and poking I told my enabler that if this comes up I would take it for $10. Without going into the strict details of how auctions work at this house the result is obvious and 30 minutes later I am the proud owner of a "dig in a jar." Treasure or not it seemed to erase the failure of the past weekend as I now had something to paw through, something that I knew contained more that just the obvious. Not enough to retire on, but over 60 coins form numerous countries. the 10 Rupee note and five Rupee coins I already know will net me about 30 cents given the current exchange rate. The 2 Euro coin is a little better at $2.65 and the there are several Asian countries represented that will take much research to nail down the denomination and the value. I may update this post as I go along in my research. Hi Greg - this is so cool! 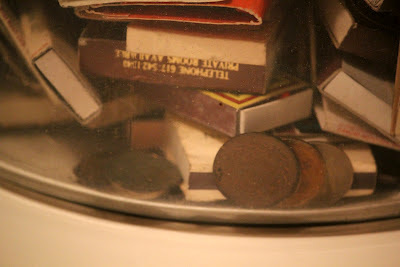 A "dig in a jar" - I've never heard of that term before!